"Who knows what will happen when those journeys end, and we come home again? "asks Camellia York while the dark clouds of the Civil War gather around her South Carolina home. In this second installment of the popular Southern Tides Trilogy, Camellia confronts the secrets of her startling past while half-brothers Josh Cain and Hampton York grapple with their deepest convictions during these desperate days of national upheaval. 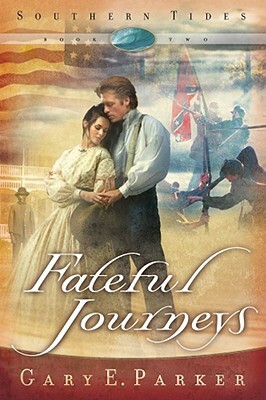 A heart-rendering epic of triumph on the costly road to freedom, "Fateful Journeys" sweeps readers away to experience the painful consequences of choices, the depth of unwavering love, and the indomitable spirit to rise above oppression. Advancing the major characters and storylines established in "Secret Tides," this novel is a self-seller for fans of the genre as well as an obvious selection for those intrigued by the Civil War.